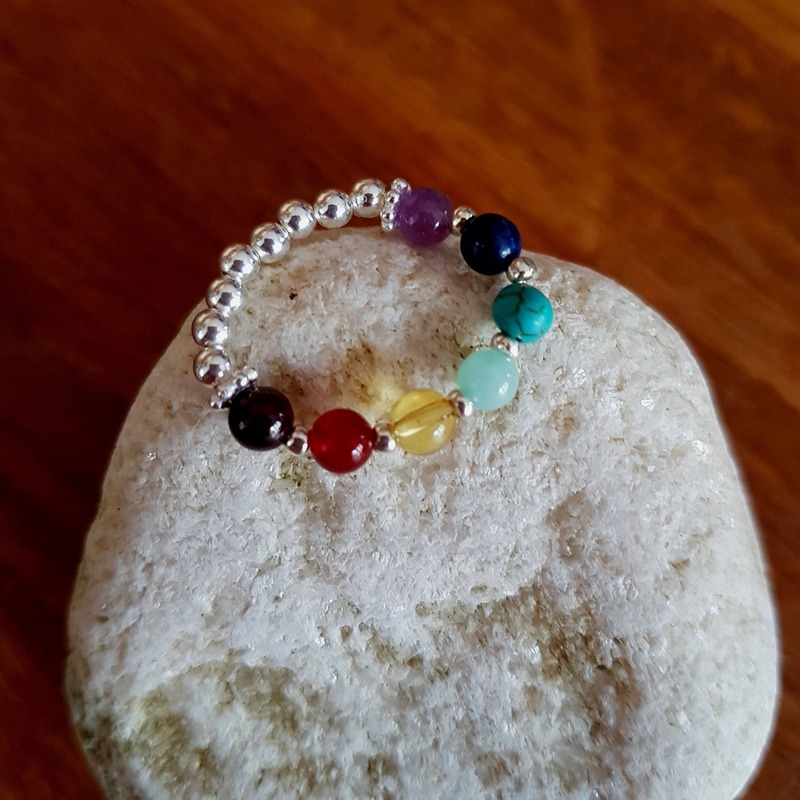 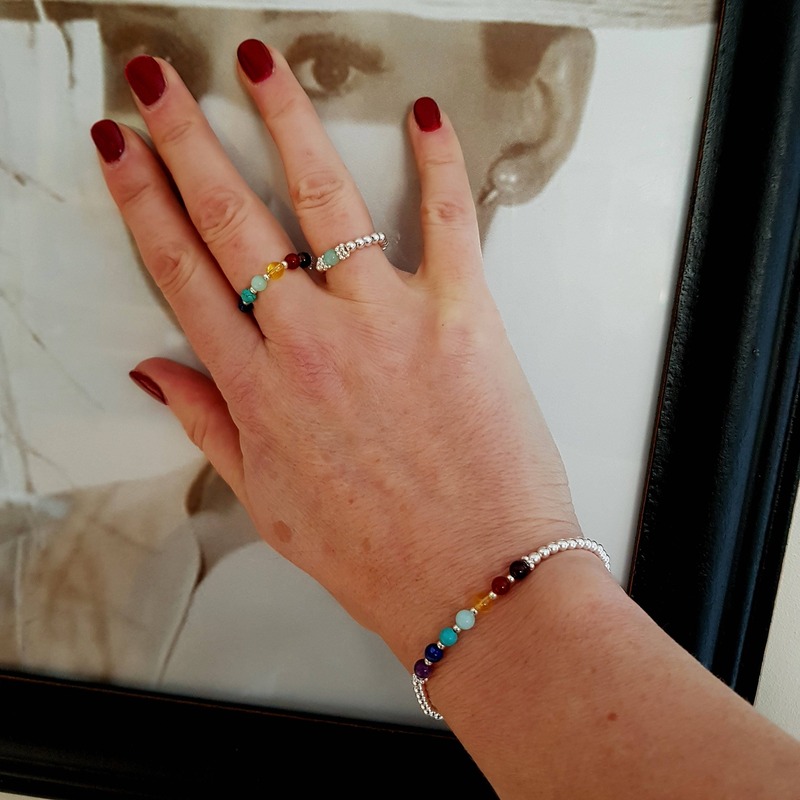 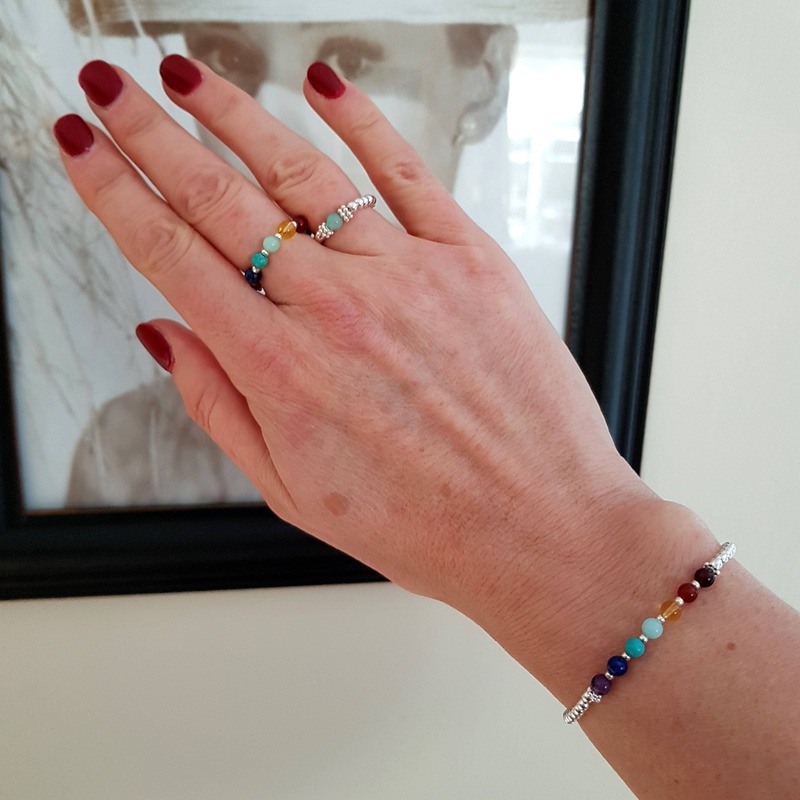 Simple beautiful handmade stretch bead ring with 7 * 4mm gemstone beads in order of the 7 Chakras nested snugly between 2 tiny Sterling Silver daisy spacers and finished 3mm Sterling Silver shiny round beads. 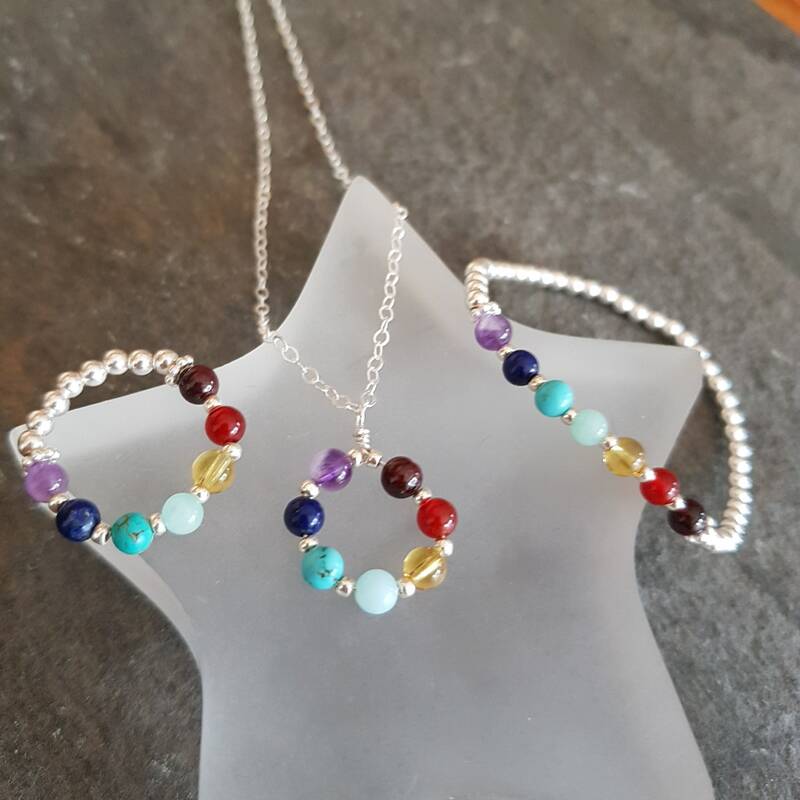 Any other sizes needed, please request custom order. 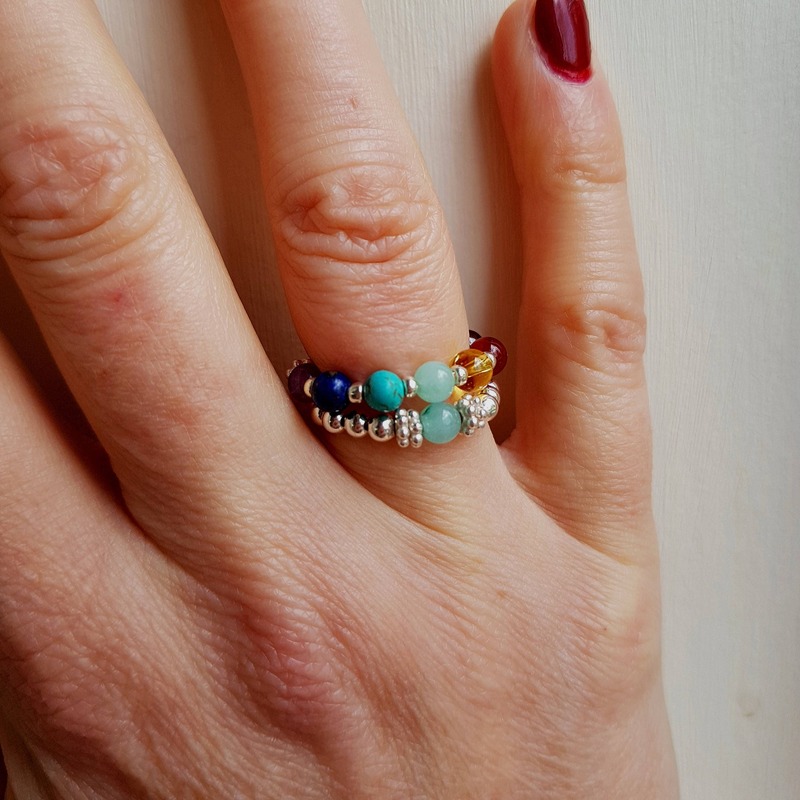 This ring comes complete in a pretty gift pouch to make a perfect handmade gift; pretty gift boxes are available at checkout also as an upgrade, to make an extra special gift to a loved one :). 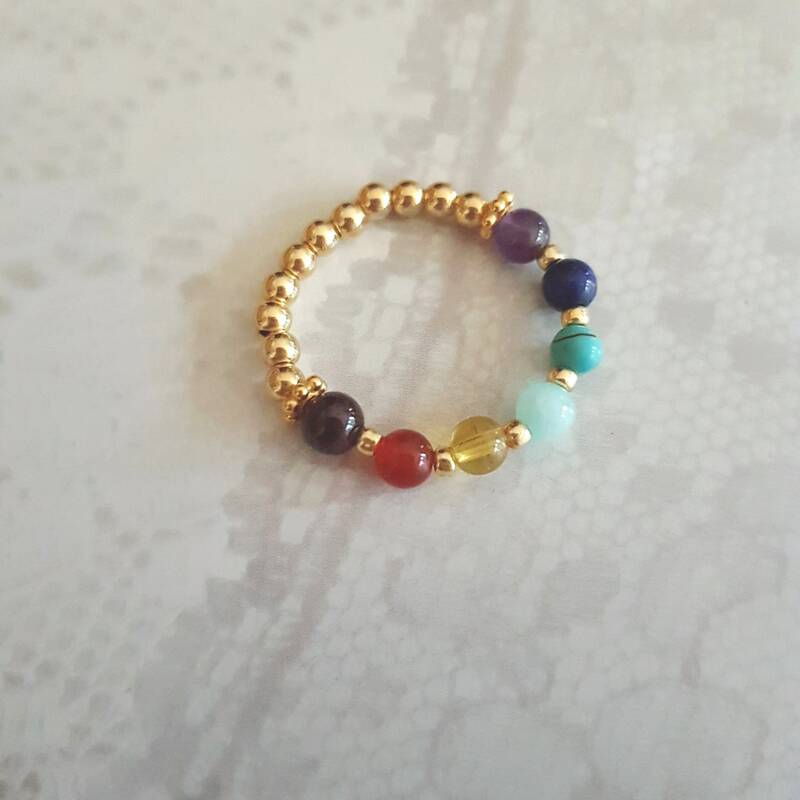 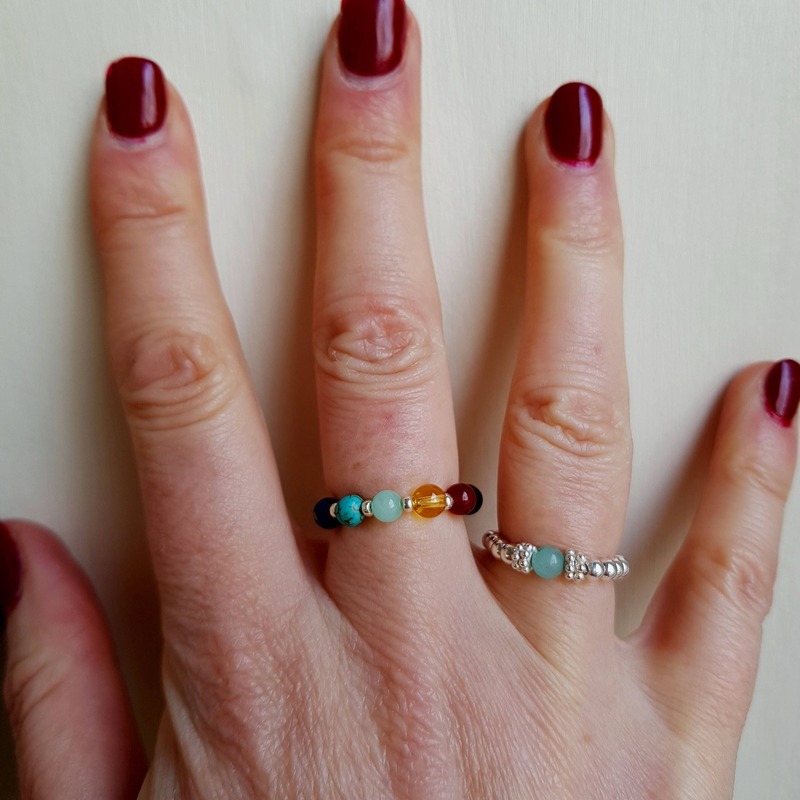 This ring is Perfect to wear on its own for a minimalist look or for stacking up with all my other stretch rings and bracelets available in all Chakra stones and many more. 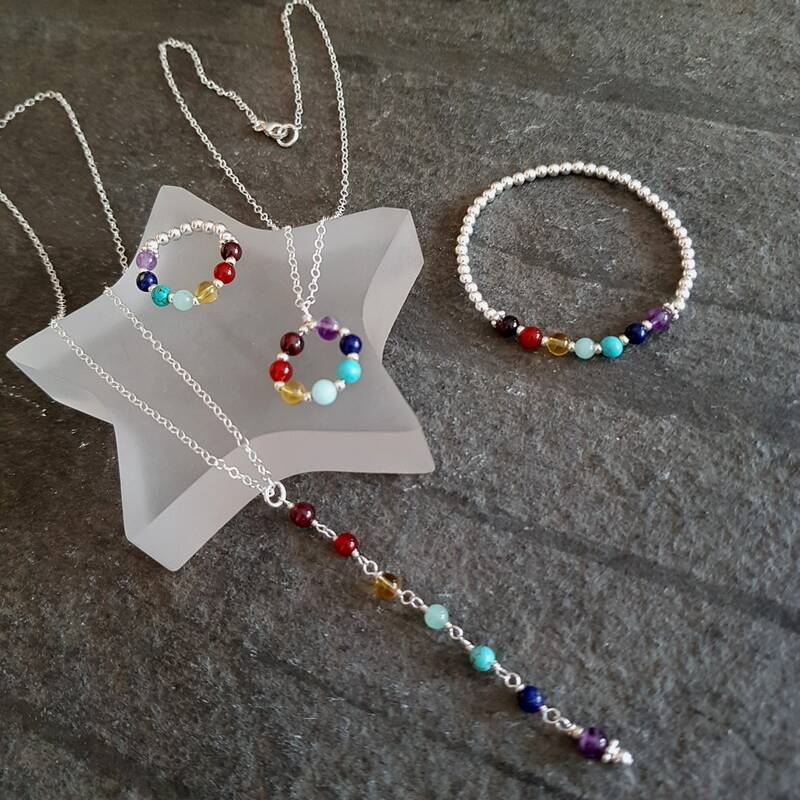 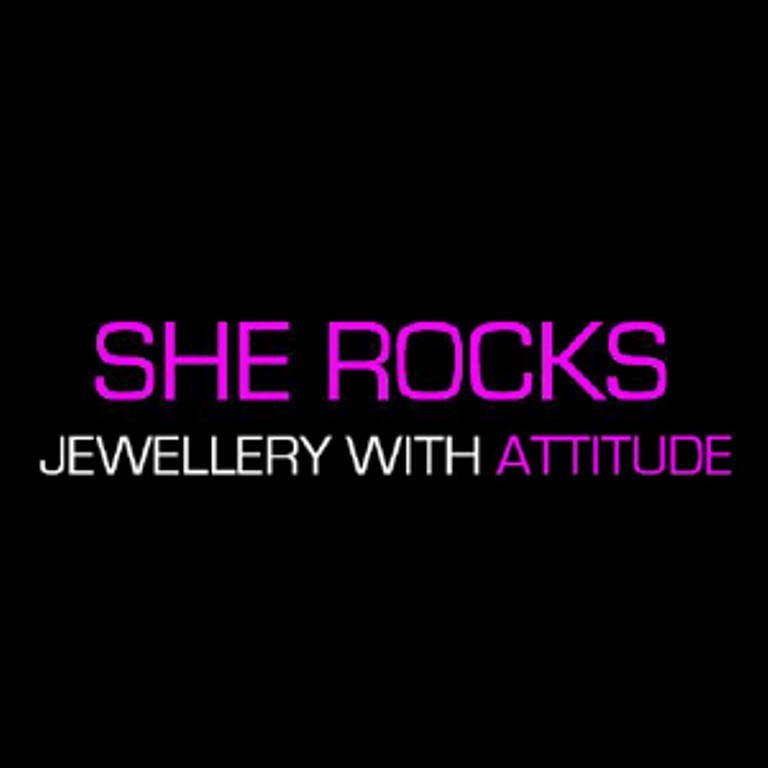 I also have the matching earrings, bracelets and necklaces. 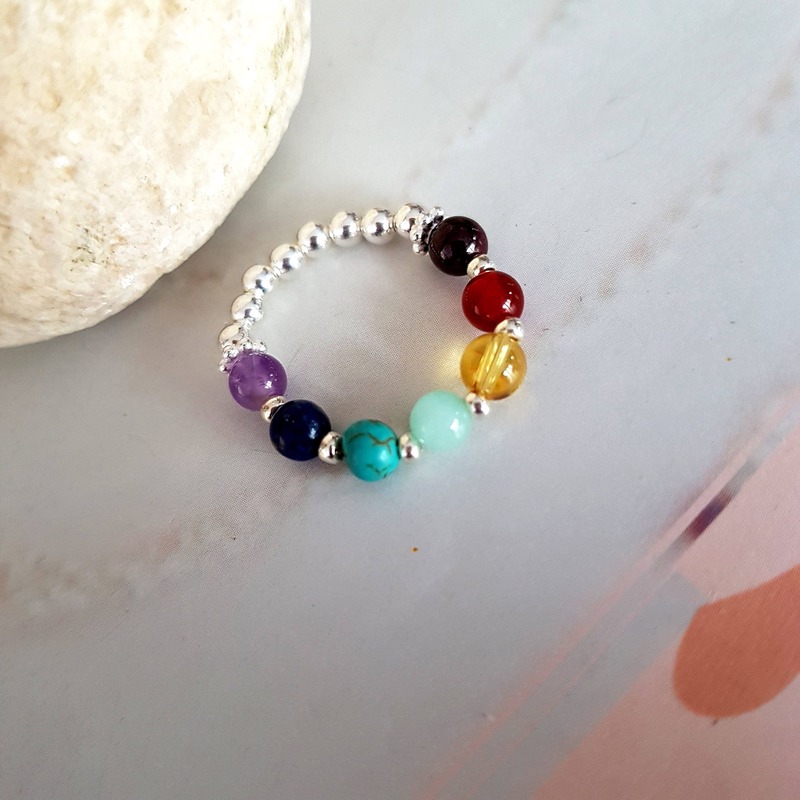 Pretty rainbow stretch ring, just what I wanted.